Any successful entrepreneur will tell you that having multiple revenue streams is critical to your success. And one main revenue source you MUST consider is recurring revenue. Continuity programs — subscriptions, memberships, or automatic shipments — allow you to sell once and generate ongoing revenue from the same customers over and over again. But it’s well worth overcoming the challenge (and I’m going to give you step-by-step guidance on how to do it) because there are so many BENEFITS. In the past, I’ve done this myself, growing online communities from zero to over 2000 members in just under 2 years… multiple times. All of the strategies and techniques I’m going to mention here are strategies I’ve actually used in my own business. So now that you know WHY you should have a continuity program, let’s get into the three steps for launching one (in Part 2 of this series, we’ll cover how to deliver killer content). We’ll dive into each of these in detail. The fastest way to get a membership/continuity program off the ground is to set up a dedicated membership area to host your content. And the reason for that is you’re leveraging habits your customers already have. In fact, as of June 2017, Facebook registered over 1 billion daily active users. Chances are, your members and customers are some of them! Facebook has over 1 billion daily active users… including your customers and members! And when all you’re doing is tapping into existing habits… getting, engaging, and keeping members becomes a lot easier. And in this case, the fish are all on Facebook. 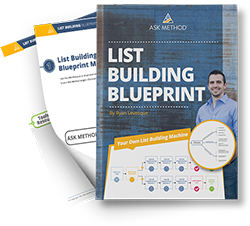 Well, I’ve done this successfully using a “Founding Members” offer that creates exclusivity and excitement… even before you’ve created anything! Step 1: Announce that you’re looking to put together a new group (without actually committing to building it first) and explain what the group will be for as well as what the benefits are to your audience. And they’ll also be grandfathered in to a special low price forever…even when you eventually raise the price of membership. This allows you to move forward or hit “pause” if there’s not enough interest at this time. Not having ground rules can make your group a free-for-all with lots of self-promotion or off-topic posts. 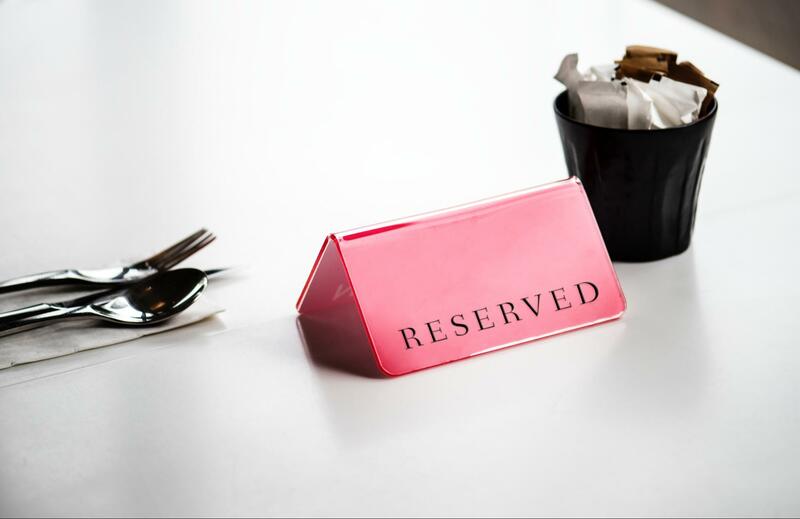 This can potentially lower the overall value of the group, so make sure your rules are clear. 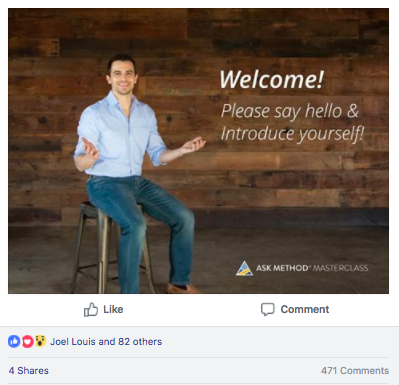 We do this in the ASK Method Masterclass Facebook group with huge results. Not only does it help jumpstart our members’ experience…it also makes them feel at home (and part of the tribe) right away. Which makes it even MORE valuable! FIRST, build momentum for your membership program. NEXT, generate interest by creating an “exclusive” offer for fast action-takers. FINALLY, welcome your new members and get them involved immediately. The three steps to launching a paid membership program using Facebook. Take it step-by-step and you’ll be on your way to recurring revenue by providing valuable content and a great experience for your members. In Part Two of this series, we’ll talk about 4 Strategies for Delivering Killer Content in Your Paid Membership Group. Do you have a paid membership program, or are you looking to start one? What’s your #1 tip for someone who’s thinking of starting a group? And what’s your #1 takeaway from this post?